POKER FISH is a is a four page story poem in the book LEGACY: A Collection Of Poetry And Prose. This poem is a comedic piece about a player who plays his suited 8 and 3 hole cards in Texas Hold'em. The poem is on pages 80, 81, 82, and 83. 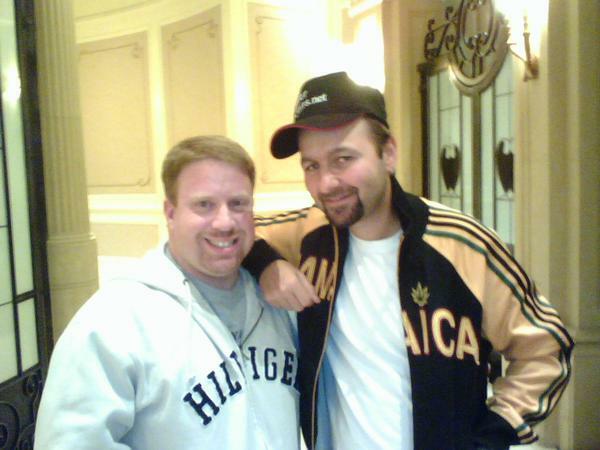 I'm with poker legend Daniel Negreanu at a Casino in Ontario, Canada. To date, Negreanu has won six World Series of Poker (WSOP) bracelets and two World Poker Tour (WPT) championship titles making him the biggest live tournament poker winner of all time, having accumulated nearly 30 million in prize money.